Imam Ahmad Ibn Hanbal (al-Musnad 3/204, hadith no.13121) Ibn Hiban (al-Ihsan: no.2484, 2578) and Hakim (al-Mustadrak 4/61 hadith no.6905) And other than them have narrated it from the chain of Humaid at-Tawil and this chain is authentic. Also Bukhari (no.1150) and Muslim (no.784) and other than them have narrated it from the chain of Abdul Aziz Ibn Suhaib from Anas (Radi Allahu Anhu) with this meaning. 1. In one hadith it is narrated that once the Prophet (Sallalahu Alayhi Wa Sallam) entered the Masjid and saw a rope hanging in between its two pillars. He (Sallalahu Alayhi Wa Sallam) said, “What is this rope for?” The people said, “This rope is for Zainab (Radi Allahu Anha) who, when she feels tired (from praying), holds it (to keep standing for the prayer. )” The Prophet (Sallalahu Alayhi Wa Sallam) said, “Don’t use it. Remove the rope. You should pray (the optional prayers) as long as you feel active and have the energy, and when you get tired, sit down.” (Sahih Bukhari: no.1150, Sahih Muslim: no.784, darusalam: no.1831, Sahih Ibn Khuzaima: no.1180, Sahih Ibn Hiban: no.2483, newest manuscript: no.2492, Sahih Abi Awana 2/297 – 298 hadith no.2223, Mustakhraj Abi Na’im al-Isbahani 2/375 hadith no. 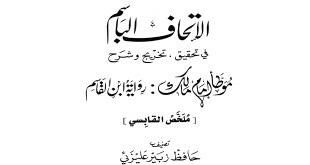 1780, Sharh as-Sunnah of al-Bagawi 4/59 hadith no.942 and he said: this hadith is agreed upon being authentic). 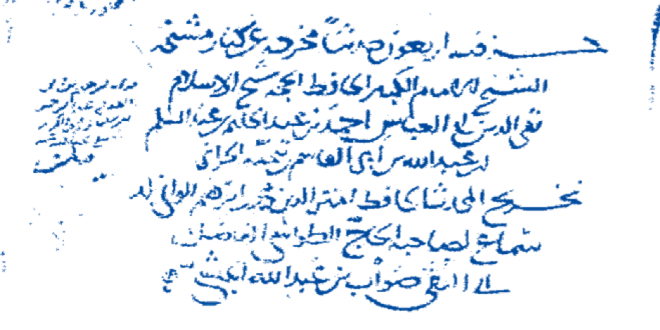 It is established from here that the companion’s name was Zainab (Um ul-Mu’minin) (Radi Allahu Anhu). From this we know that the narration is false and rejected. 3. The Messenger of Allah (Sallalahu Alayhi Wa Sallam) did not know the unseen and neither did he know about the hidden knowledge of the past or future (on his own without revelation). 4. 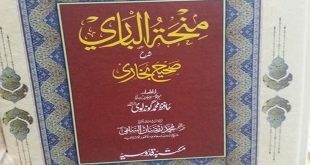 Major scholars of the Uma can make mistakes in ijtihad. Therefore it is not allowed to blind follow a person from the Uma, rather you should busy yourself in learning the Qur’an and sunnah based upon the understanding of the righteous predecessors and following the consensus of the Uma which has been accepted to be the truth and be ready to take this. 5. All the actions pertaining to the religion are rejected if they do not have proof from the Qur’an, sunnah and the consensus of the Uma. For example the fabricated innovative ways of praying by the Sufis, actions of worship which take you closer to Allah that do not have any proof and group assemblies of Dhikr and dancing, are all false and rejected.